I love our country’s national parks. In fact, I’ve visited many of them across the western United States, but the fact is, they’ve gotten crowded. Here in Colorado, I’ve watched the crowds grow substantially at places like Rocky Mountain National Park and the Great Sand Dunes. Dinosaur National Monument in the spring. This isn’t a directive to stop visiting national parks. You should go but plan ahead. Midweek is the best time to visit and offseason is a fantastic way to avoid crowds. We visited Grand Teton National Park this past winter and barely saw another soul. During the summer, however, Grand Teton and Yellowstone fill to the brim with cars and people. This summer, I’d recommend putting a national monument or two on your must-visit list. These much lesser known parks are an incredible opportunity to get away from it all in an increasingly busy world. What’s a national monument? It sounds like a place where you’ll find a statue or plaque, however, a national monument is actually a protected area that’s been designated by the president or congress. My research uncovered conflicting numbers but it seems that there are approximately 129 national monuments in the United States. Colorado is home to eight national monuments. Here are my observations of the five that I’ve visited. Hundreds upon thousands of people from Colorado’s Front Range drive by Colorado National Monument every year on their way to Moab, and yet this national monument has some of the same spectacular rock formations and arches that its more famous neighbor to the west is known for. I was one of those people who’d driven by numerous times and I was truly blown away by Colorado National Monument when I visited in 2013. Prior to my visit, I had no idea that anything like this existed in the state. 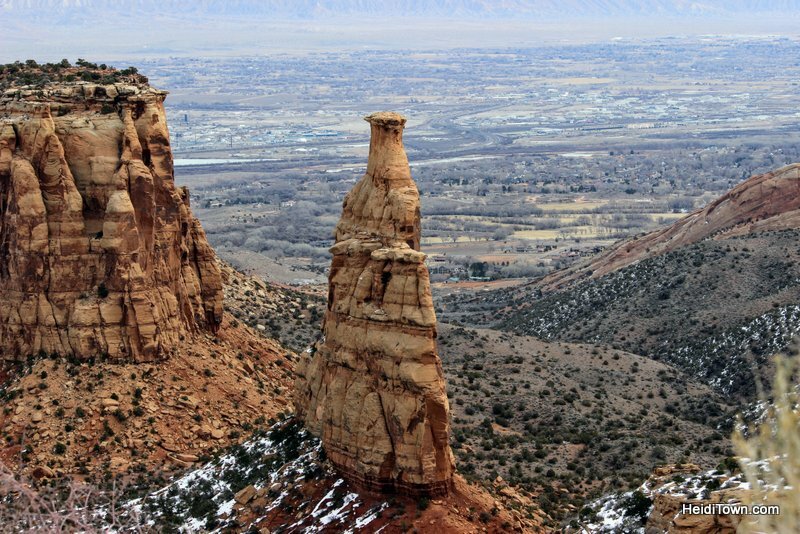 Located about 30 minutes west of Grand Junction, this national monument rises more than 2000 feet above the Grand Valley and is home to numerous animals including Bighorn Sheep. When you arrive, stop at the park’s visitors center to find out where the sheep have been hanging out. We did this and we were rewarded by seeing our first-ever baby bighorn sheep although they were too far away to get photographic proof. We took an hour and a half long hike here last summer and didn’t see another soul. This national monument is about halfway between Cortez and Hovenweep depending on where you enter this 176,000-acre park. We hiked from a parking area on Road G.
While Mesa Verde National Park is the best-known park in the area, Canyon of the Ancients contains the highest known archaeological site density in the United States with an estimated number of nearly 30,000 sites. 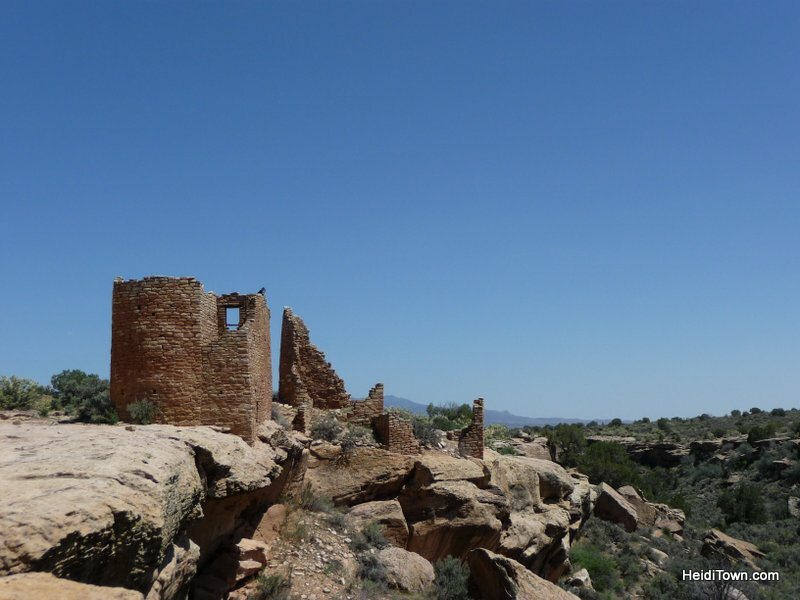 If you love ancient history, to walk here is to walk in the footsteps of the ancient Puebloan people which makes hiking here a rather surreal experience. Hovenweep National Monument is 785 acres and is located in Southwest Colorado and Utah. There are six major site groups located within 20-miles of each other. Hovenweep is about an hour’s drive west of Cortez and is one of the most photogenic places I’ve ever visited. The Ancient Puebloan ruins here are like something straight out of a fantasy novel or maybe a sci-fi because they are otherworldly. We visited late one weekday afternoon and had the place entirely to ourselves. 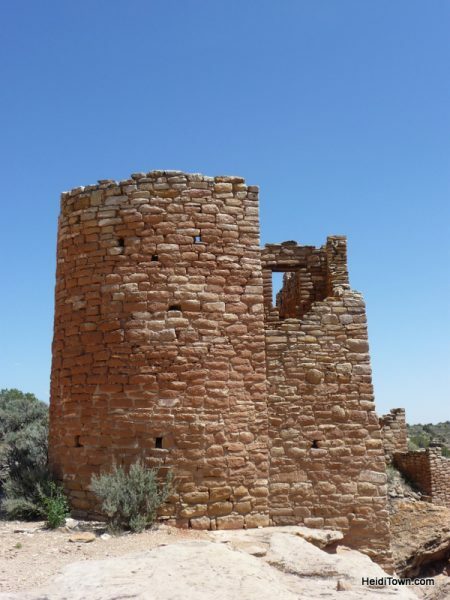 If you’re visiting Hovenweep or Canyon of the Ancients, I’d recommend staying at Canyon of the Ancients Guest Ranch. 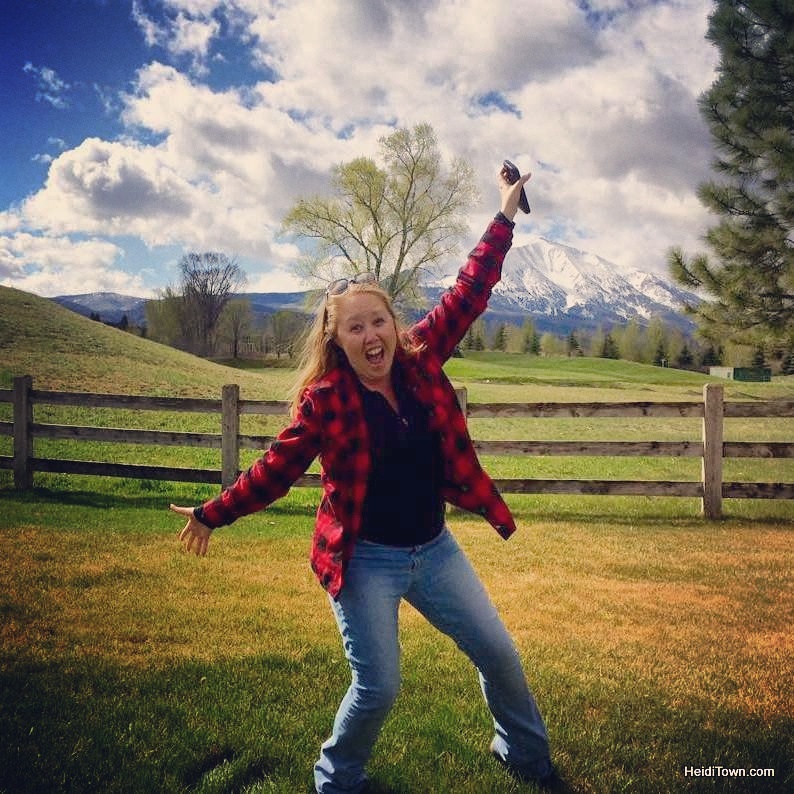 I’ve written about it in “2 Unforgettable Colorado Ranch Getaways” for The Heidi Guide. 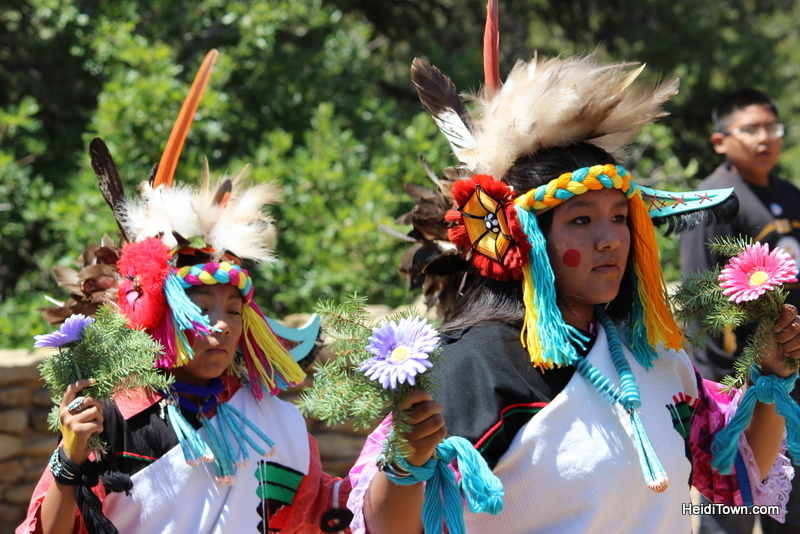 Hopi dancers perform the Butterfly Dance at Native American Gathering at Chimney Rock National Monument. If you’ve ever driven between Pagosa Springs and Durango, you’ve probably seen Chimney Rock. It’s about 30 minutes west of Pagosa and it’s worth stopping by to check out this national monument that received its destination just six years ago. We attended the Native American Gathering here in 2013, an annual event that, while beautiful to the observer, has deep meaning to the tribes that participate. 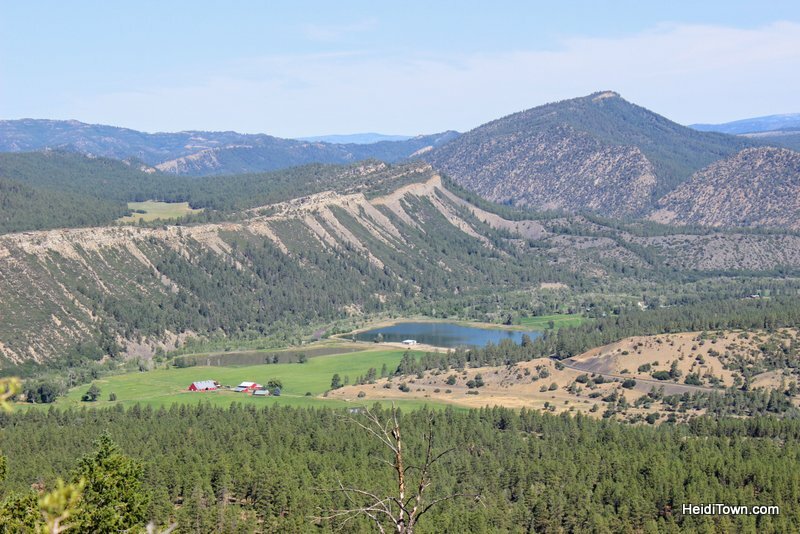 At 4,726 acres, the area has spiritual significance to many Native American tribes. 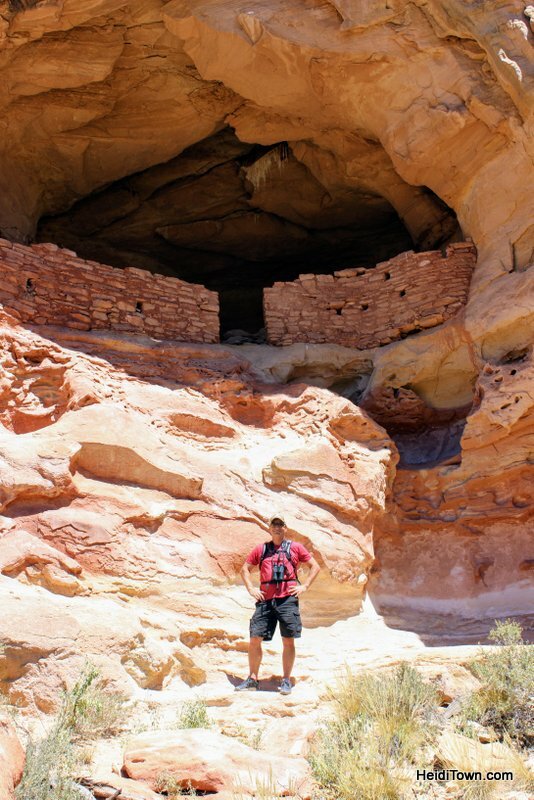 The Ancestral Puebloans built more than 200 homes and ceremonial structures in the area; some have been excavated and others are still hidden beneath the soil. View from the top of Chimney Rock National Monument. Many people believe that Chimney Rock National Monument was once the site of an ancient school of astronomy because mountain peaks to the north and the east make it an ideal spot for tracking the movements of the sun and moon. 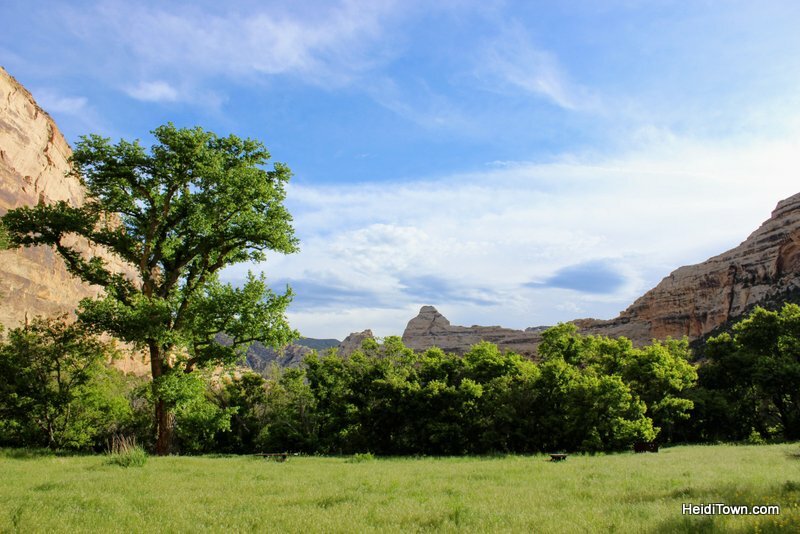 Echo Park Campground, Dinosaur National Monument. We discovered Dinosaur National Monument through reading several books about John Wesley Powell’s Expedition in 1869. Most people know the park because of its 800 paleontological sites; there are lots of dinosaur bones here. Located in northwest Colorado and parts of Utah, this national monument is remote and it’s big. At 200,000 acres, you’ll only get to see bits and pieces when you visit. While the Quarry Visitor Center in Utah gets very busy, it’s easy to escape the crowds and easy to find yourself without cell service so plan accordingly. 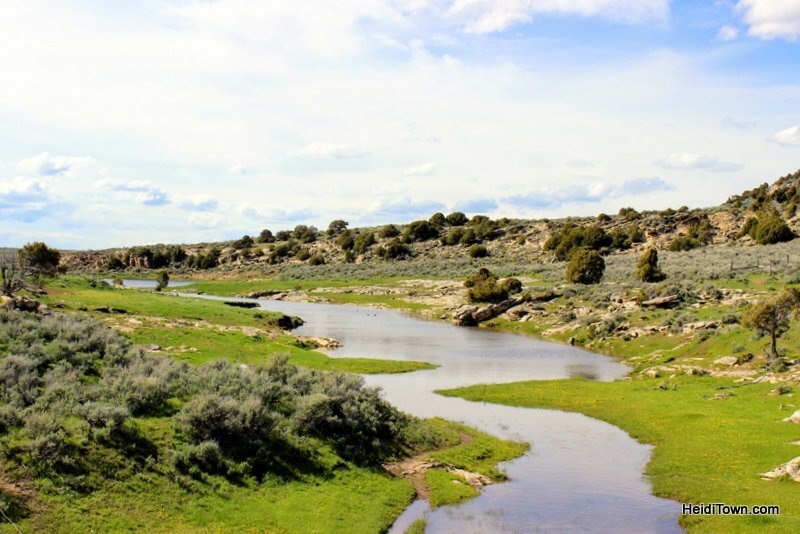 We camped at Echo Park campground which is located at the confluence of the Green and Yampa Rivers. The road isn’t open year round and it’s a good idea to be in a four-wheel drive vehicle when traversing this road. I’ve camped my entire life and this is one of the most beautiful campgrounds I’ve encountered. With a swirling river on one side and petroglyph-covered cliffs on the other, there’s really nothing else like it in Colorado. 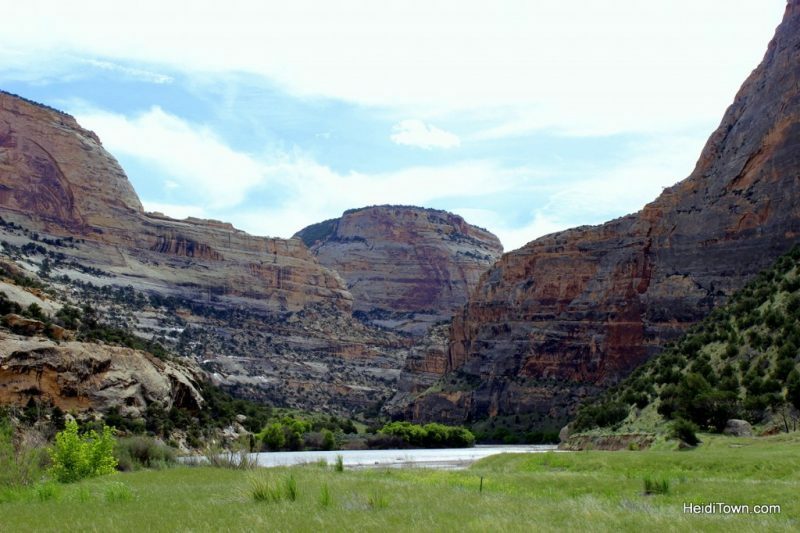 Dinosaur National Monument in May (Utah side of the park). Dinosaur National Monument is about two hours west of Steamboat Springs, Colorado and an about an hour south of Wyoming’s Flaming Gorge Recreational Area. Echo Park campground is entirely cut off from cell service. 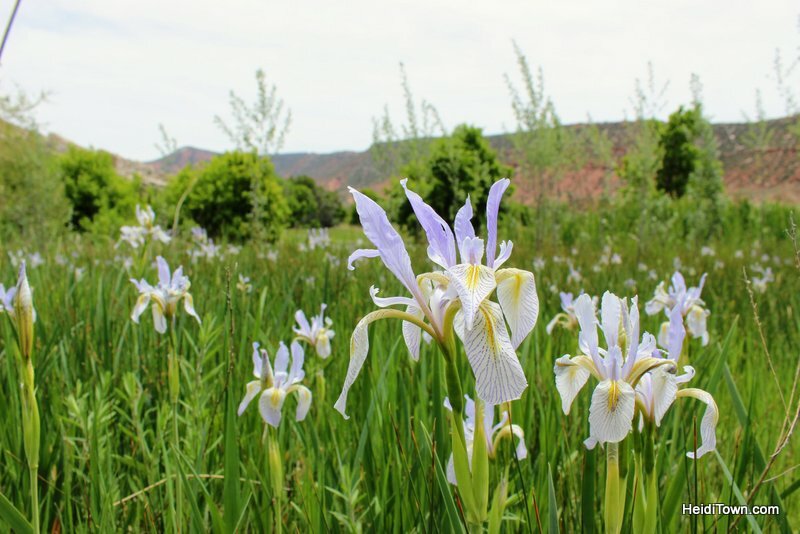 To learn about Colorado’s three other national monuments, including Browns Canyon, Florissant Fossil Beds and Yucca House, visit Colorado.com.